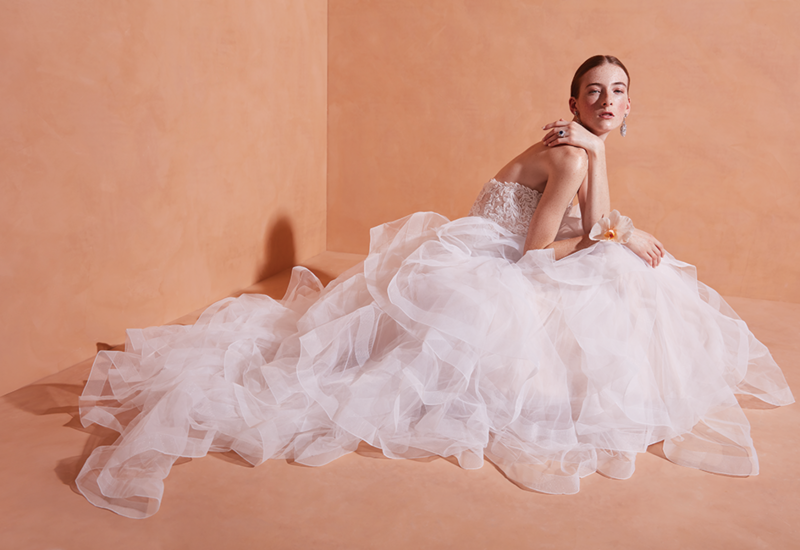 With ruffles and frills, a hint of tint and endless layers of tulle, this season’s ultra-feminine gowns offer a fresh take on romance. Jasmine Collection style F201068 gown with blush lace bodice and cascading tulle skirt ($1,565) from Angelique’s Bridal. Cheryl King Couture earrings ($396) from Bridal Accents Couture. Sapphire ring, estate collection, ($19,500) from R.F. Moeller Jeweler. Orchid wrist corsage by Ashley Fox Designs. Calla Blanche “Elizabeth” lace gown with tulle overlay ($2,400) from Annika Bridal Boutique. Diamond ring featuring a Forevermark diamond, ($89,500) from R.F. Moeller Jeweler. Orchid bouquet by Ashley Fox Designs. Isabelle Armstrong “Rhonda” strapless draped silk faille gown with ruffle cascade ($5,500) from Bridal Accents Couture. 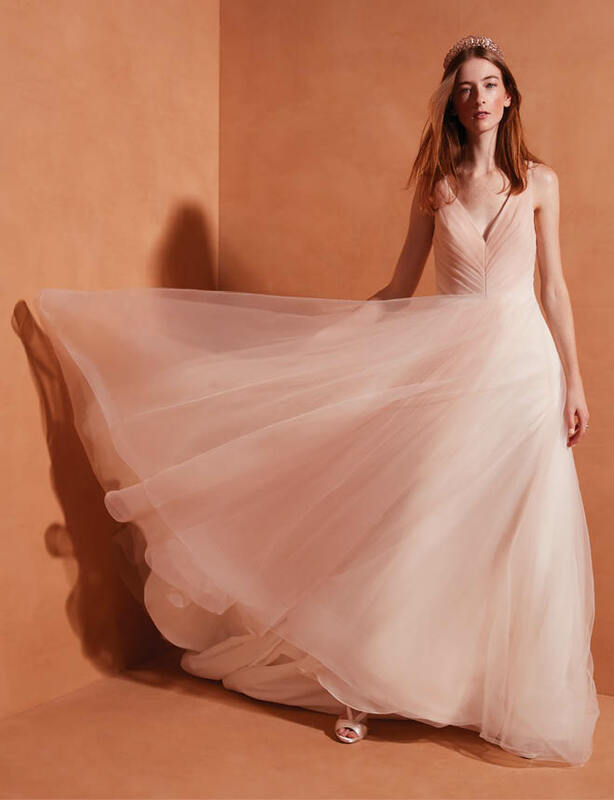 Kelly Faetanini “Dawn” blush tulle V-neck gown ($2,375) from Che Bella. Eden Luxe “Greta” tiara ($196) from Angelique’s Bridal. 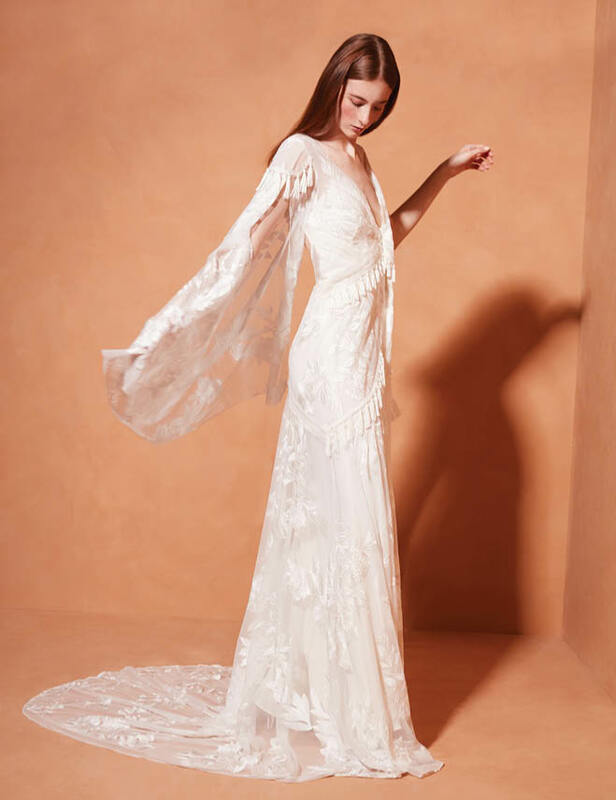 Rue de Seine “Aegean” lace gown with crochet and tassel trim ($3,475) from a&bé bridal shop. Calla Blanche “Elizabeth” lace gown with tulle overlay ($2,400) from Annika Bridal Boutique. Sapphire ring, estate collection, ($19,500) from R.F. Moeller Jeweler. Bouquet by Ashley Fox Designs. Joynoelle “Venus” taupe tulle gown ($5,500) from the designer. Ti Adoro drop earrings ($140) from Che Bella. Headpiece by Ashley Fox Designs. Hayley Paige “Bowie” knit “bandage” bodice gown with full tulle skirt ($3,740) from a&bé bridal shop. Rhinestone headpiece ($250) from Che Bella. 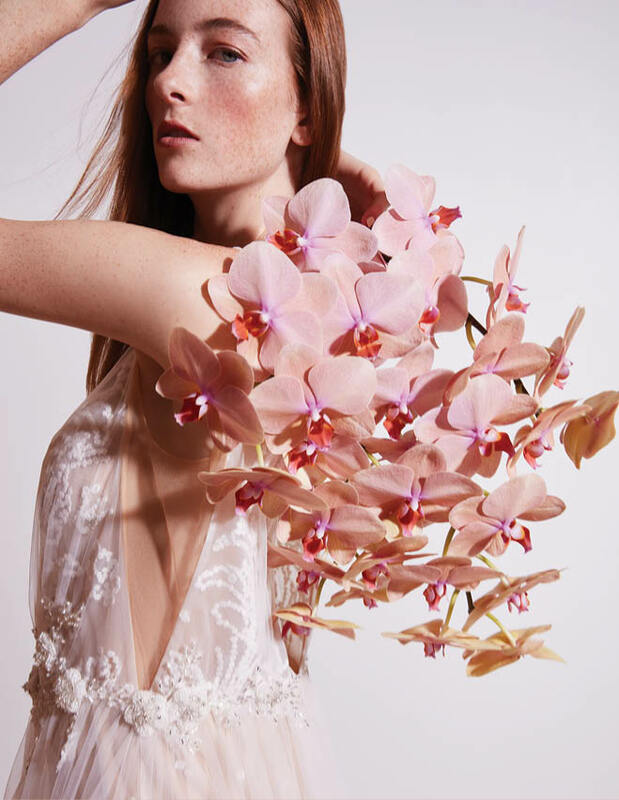 Orchid bouquet by Ashley Fox Designs. 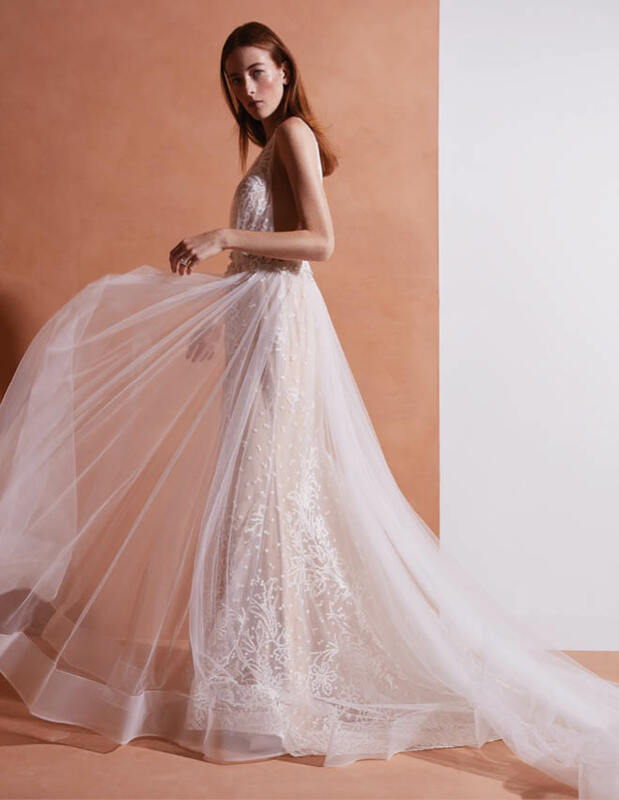 To get Mandy Moore's wedding look, designer Azazie features a similar dress at half the price. 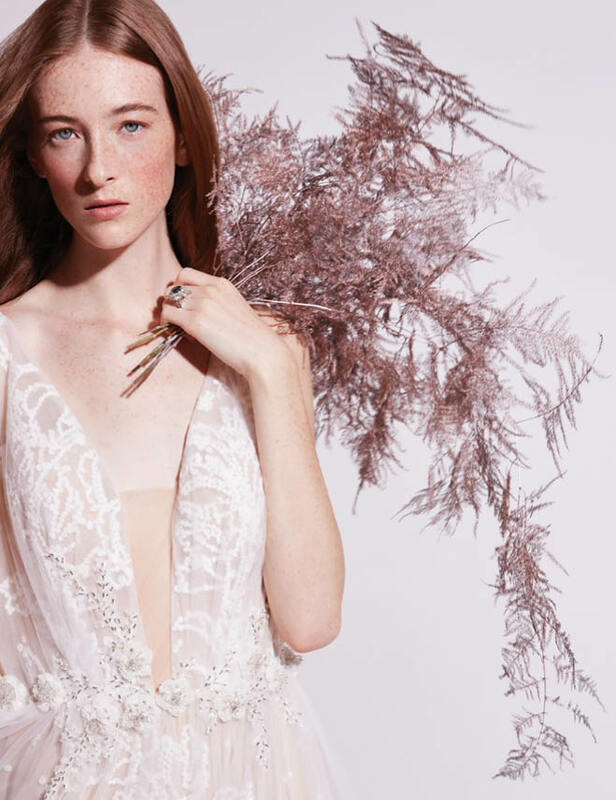 You'll need to take a second look at this incredible shoot to believe that the featured dress is made entirely of paper. We were swooning over these dress details from our Instagram feed this week!